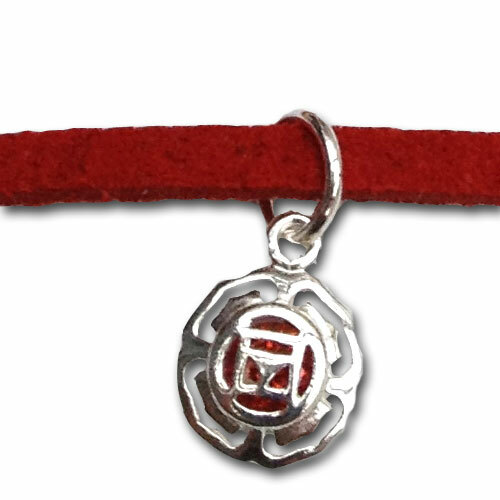 A tie-to-fit ultrasuede band with a tiny root chakra charm to wear as an anklet or bracelet. 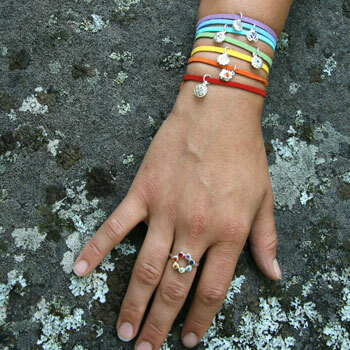 They offer great flexibility as you can tie them to fit nearly any size. 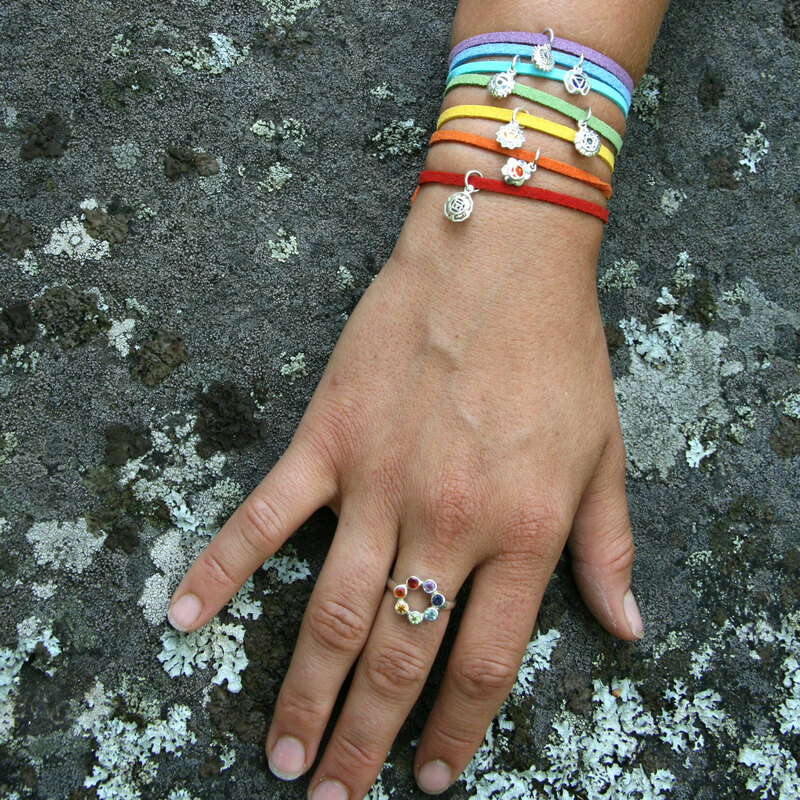 You can wear them individually or layer up with other chakra bracelets/anklets.